Robert Mueller was an outstanding public servant before the delivery of his report and before the delivery of the Barr letter regarding the report, he remains an outstanding public servant today, and he will remain an outstanding public servant tomorrow, and likely for all of the tomorrows to come. As a nation, we should be entirely grateful for his service, especially given the fact that during the course of his work, he was under unremitting and utterly dishonest and disreputable attack from the sitting president of the United States, and all of the hacks—inside and outside of Congress—who sacrificed whatever integrity and honor they had to take Trump’s side over Mueller’s. There has been an astonishing amount of coordination between Trump officials and Russia, and it is all chronicled. If it is not true that “members of the Trump Campaign conspired or coordinated with the Russian government in its election interference activities,” then I would like to know why so many of these Trump officials lied about their contacts with Russia and Russian officials. Why lie when there were supposedly no crimes committed? Why would any halfway intelligent person do that? To answer this question, of course, we need to have access to the full Mueller report. If—as Barr claims—the Mueller report has indeed found no evidence of collusion or coordination, then I presume that neither Donald Trump nor any of his hacks and minions will have any objections to making that report public, once the necessary redactions have been made to protect national security, ensure the integrity of ongoing investigations, and ensure that sources and methods are not compromised. Does failing to protect future elections against Russian interference count as coordination with Russia? Just wondering. Regardless of any findings regarding coordination between the Trump campaign and Russia, it is indisputable that Russia has compromised the president of the United States. As with so many other scandals, this alone justifies the impeachment and conviction of Donald Trump. If any special counsel investigating the actions of Barack Obama or Hillary Clinton wrote that “. . . [t]he Special Counsel states that ‘while this report does not conclude that [either Barack Obama or Hillary Clinton] committed a crime, it also does not exonerate [him or her],’” Republicans would have entirely lost their minds, and demanded drawing and quartering—let alone impeachment, conviction and prosecution. The fact that Mueller wrote this language about Trump and his obstruction of justice, and that Trump’s handpicked attorney general reported this language should, in any reasonable situation, be a devastating conclusion that would bring this or any other presidency to an end. That it may not—at least in the mere term—is as much of a scandal as any other surrounding this revolting president and presidency. How on Earth, or in any alternative universe, does William Barr conclude—a mere 48 hours after the delivery of the Mueller report to the Department of Justice—that “the evidence developed during the Special Counsel’s investigation is not sufficient to establish that the President committed an obstruction-of-justice offense”? 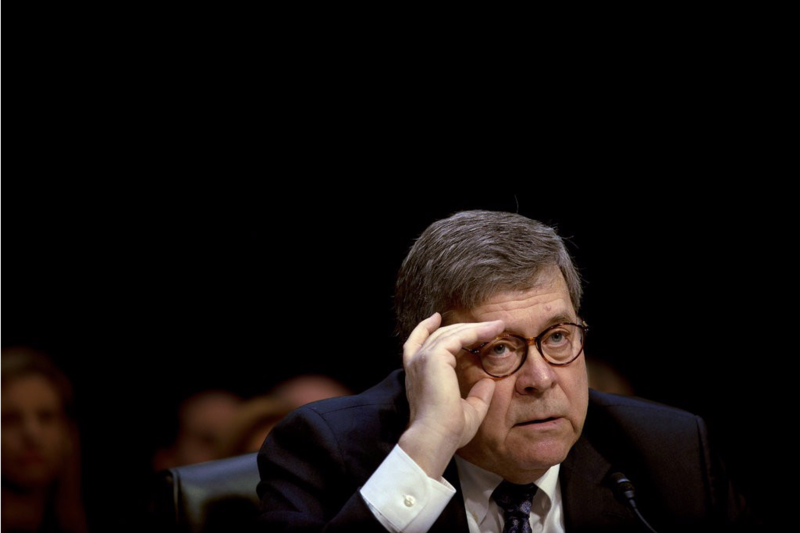 The best answer I have heard to that question is that Barr has been aware of the details of the Mueller report for some time, and that Rod Rosenstein—the deputy attorney general who appointed Mueller after Jeff Sessions recused himself, and who has directly overseen the bulk of the investigation—was also familiar with the details of the investigation and the report, and that as a consequence, both Barr and Rosenstein were in a good position to swiftly make the determination not to prosecute on obstruction. I don’t buy this. Robert Mueller is just as good a lawyer—and an infinitely better investigator—than either Rosenstein or Barr, and he couldn’t make that determination after twenty-two months of looking into the facts. The notion that Rosenstein and Barr could do in two days what Mueller could not do in twenty-two months is nothing short of absurd, even if we presume that they werein possession of the facts for as long as Mueller has been. Relating to the above, Jennifer Rubin reminds us that “[b]ecause it is the Justice Department’s position that Trump cannot be indicted as a sitting president, there is no requirement — indeed, it is inappropriate — for Barr to weigh in. The job is up to Congress, according to Barr’s own department guidelines.” Rubin further notes that Barr “writes that he must separate out grand jury testimony and other material that could “impact other ongoing matters,” and follows with “WAIT. What?! If Mueller came across evidence of crimes that the Southern District of New York or other parts of Justice are investigating, shouldn’t we know if the president is under investigation?” Well, yes. Yes, we should. Of course, maybe the reason why Barr concluded that the president should not be indicted on obstruction of justice is that in the past, Barr has concluded that the president cannot be indicted on obstruction of justice. This raises the very serious concern that the attorney general’s decision was already baked in, no matter what the facts are. Which means that the Barr decision not to prosecute on this matter cannot be taken seriously, making it all the more imperative for Congress to proceed with its own investigation (it is already entirely imperative for Congress to proceed with its own investigation, of course). As David Frum reminds us, the kindest interpretation of the Barr letter is that Donald Trump “was the beneficiary of a foreign intelligence operation, but not an active participant in that operation. He received the stolen goods, but he did not conspire with the thieves in advance.” If you feel good about even this state of affairs,” then I have no problem whatsoever stating that I don’t want to know you. Frum goes on to state that “[t]he question unanswered by the attorney general’s summary of Special Counsel Robert Mueller’s report is: Why? Russian President Vladimir Putin took an extreme risk by interfering in the 2016 election as he did. Had Hillary Clinton won the presidency—the most likely outcome—Russia would have been exposed to fierce retaliation by a powerful adversary. The prize of a Trump presidency must have glittered alluringly, indeed, to Putin and his associates. Why?” Good questions, and the potential answers are hardly flattering to Trump or to his deranged fans. Frum continues: “Trump remains a president rejected by more Americans than those who voted for him, who holds his job because a foreign power violated American laws and sovereignty. It’s up to Congress to deal with this threat to American self-rule.” Indeed it is, and that is why investigations need to continue and ramp up. All of this having been written, despite the fact that Donald Trump deserves impeachment and conviction more than any American president ever has—and that’s not even taking into account Gene Healy’s cogent and entirely accurate observation that impeachment is and has been intended to be a no-confidence vote in the president, and not just a determination that the president engaged in and committed crimes—the odds that this utterly disreputable president will be impeached and removed from office are quite low; more because Republicans refuse to admit the basic facts surrounding this president, this administration and all of the scandals associated with it than because of anything that Robert Mueller may have written in his report. Indeed, at this stage, it is easy to imagine a situation in which Mueller may have written the most damning report imaginable, but Republicans still refuse to abandon him politically. Republicans won’t, after all, abandon this president even after Barr has written that Meuller has concluded that the president of the United States may have obstructed justice. And again, in any reasonable universe, this language alone would and should be enough to cause this presidency to utterly collapse, and yet, in our universe, it won’t—at least not in the near term. So, the best remedy to removing this president from office is to vote him and his minions out of office in 2020. This means that Trump opponents should not make the perfect the enemy of the good in determining which candidate to support, that removing a wholly corrupt, national security-compromising malevolent president is more important than renewing interminable arguments about abortion, school prayer and/or tax cuts, and that as a general rule, normal, pre-Trump arguments about policy and politics can and should wait until the Trump presidency finally comes to an end. It is bad enough that Donald Trump was ever elected to the presidency. It would be truly catastrophic—not just tragic; catastrophic—if we are forced to endure this abomination of a presidency for a second term. Despite the clear and entirely obvious evidence of rampant corruption and despicable behavior on the part of this president and his minions, all the people who told us that Robert Mueller will not save us were right. It is up to us to save our country. Let’s go forth and do it.